Ross the Boss Friedman has been a mainstay of the music business for over forty years. In 1973, he was a founding member of the punk icons The Dictators and, in 1980, he started the hard rock band Manowar. Plus, he's been involved in recordings for a wide variety of other artists over the years. 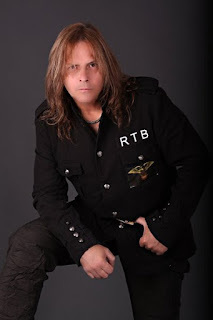 We talk with Ross on the forming of both bands, his work with Bruce Springsteen, how he managed to get Orson Welles on two Manowar albums, his work ethic and his induction into the Hall of Heavy Metal History.